Michael Miola, owner of Silver Spurs Equine discusses the benefits of having Polylast Veterinary Clinic Flooring in his collection areas. 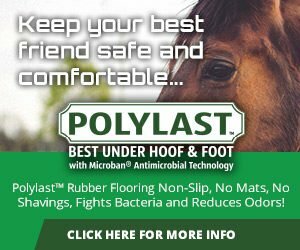 Polylast is an antimicrobial non-slip flooring that helps keep your horses safer, more comfortable, and ready to perform at their best. Polylast Vet Clinic Flooring absorbs 40%-50% of the impact shock on joints, paws, and hooves, helping to prevent injury, lameness, and down time. Also, the insulating factor of Polylast Veterinary Clinic Flooring means that the floor and animals stay cooler in the summer and warmer in the winter. On an unprotected surface, bacteria can double in number every 20 minutes. Microban® Antimicrobial Technology is infused into Polylast Vet Clinic Flooring during the manufacturing process giving an added level of protection against the growth of bacteria caused by urine and feces on the floor. This helps improve your facility’s functionality while reducing operating costs. Polylast Systems with Microban® Antimicrobial Technology offers a non-porous horse flooring system called Super Duty, that is great for Vet Clinic Flooring, and Stall Lining. The base of the Super Duty flooring is exactly the same as the porous variation. When installed as Veterinary Clinic Flooring, or a stall liner, a proprietary top coat is added that seals the spaces between the crumb of the porous product, making it completely liquid proof. The top coat is actually pressed into the upper layer of the porous surface so that the liquid proofing does not erode or wear away. Finally, Polylast Veterinary Clinic Flooring is a non-porous surface, which means it is completely impervious to liquids both on the surface and from below, and is ASTM tested showing its resistance to a wide range of chemicals, cleansers and solutions. 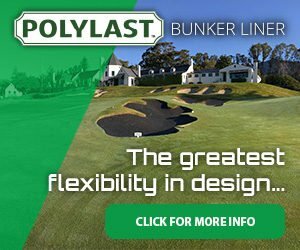 Want to learn more about Polylast? Contact us to help you find one of our 65+ national and international dealers for surface installations. If you have a question about our product or want to become a dealer feel free to reach out to us! Like this post? Share this blog post with your friends! Want To Stay Current WIth News and Deals? Follow Us! Polylast Systems Patent No. US 8,389,624 B2 Issued March 5, 2013. Microban® is a registered trademark of Microban Products Company.